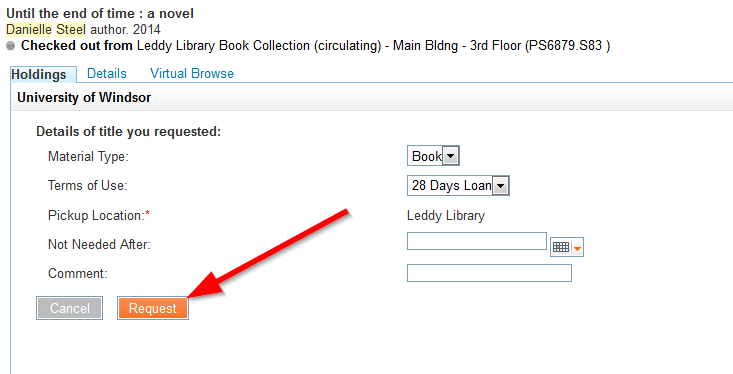 If you want to borrow an item from the Leddy Library, but another person is already borrowing it, you have the ability to request this item. The system will recall checked-out library materials by students, faculty, and staff. Requests can be made through your account in the catalogue or at the Circulation Desk. 3. Click on "Sign in for more options"
6. Fill out the online request form and click on "Request"
7. Your item should be available within 7 days. An email will be sent to you when your item is ready for pick-up.